Ms. Cupcake » Catch Ms. Cupcake at Christchurch Food Festival! Ms. Cupcake > News > Cupcake News > Catch Ms. Cupcake at Christchurch Food Festival! 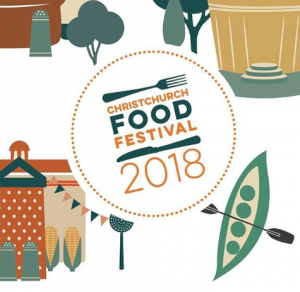 Catch Ms. Cupcake at Christchurch Food Festival! Looking for plans this weekend? Well why not head over to Christchurch Food Festival for loads of stalls, events and entertainment! Throughout this weekend, the high street will be transformed with stalls brimming with local delicacies. There’ll be cookery demonstrations, a Beer Festival, cocktails and even a Kids Kitchen! You can catch Mellissa Morgan (a.k.a. Ms. Cupcake) doing a live bakery demo at the festival! She’ll be giving her tips on how to bake and decorate the perfect cake, substituting traditional ingredients with plant-based alternatives. The festival takes place on Saturday 12th and Sunday 13th May, opening at 10am both days. You can find more info about the festival here. This entry was posted on Wednesday, May 9th, 2018 at 4:33 pm and is filed under Cupcake News. You can follow any responses to this entry through the RSS 2.0 feed. Both comments and pings are currently closed.